motivational. . HD Wallpaper and background images in the Avatar The Last Airbender club. This Avatar The Last Airbender fan art contains anime, comic kitabu, manga, cartoon, and mkono. aaaahhhhhhhhhhhhhhhhhhhhhhhhhhhhhhhh what now to busy looking at him! i think thats one of the only like 3 times Zuko smiles is a rare treat. you must BE watching the wrong show! 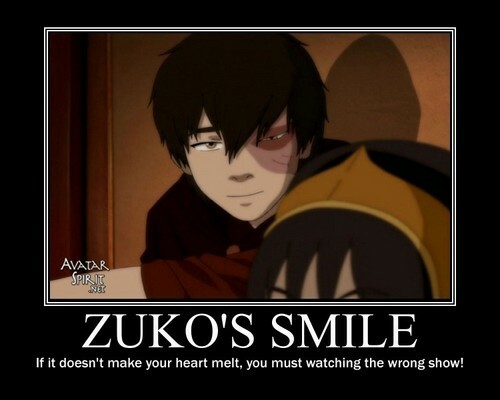 He is so hot and his smile is even hoer than Azula's blue fire. He is even cuter when he smiles! AWWW!